How MSM Joint Relief Supplements Help Patients with Arthritis? Is MSM Joint Relief Supplement Good For Arthritis? Arthritis is considered to be one of the most disabling diseases that exist. The condition can affect any part of the body that is connected by joints and can cause severe pain. Some patients who have been diagnosed with Arthritis find that the disease disrupts their ability to perform general tasks that they used to perform. This can be due to the painful symptoms of the disease, as well as due to the deforming effects the disease can have on the hands and feet. Centers for Disease Control and Prevention reports that as much as 11.6% of adults in the United States claim that the symptoms of Arthritis affect their ability to perform tasks at work, thus lowering their productivity. They also report that 33% of Arthritis patients experience severe levels of pain. There are more than 100 different types of Arthritis, with one of the most common types being Osteoarthritis. According to Arthritis Research UK, approximately 33% of adults aged 45 and older in the United Kingdom have been diagnosed with this type of Arthritis. They also report that almost 50% of women over 75 years of age are Osteoarthritis patients, while 42% of men over the age of 75 years have Osteoarthritis. In England alone, more than 7 million people are currently suffering from the symptoms of Osteoarthritis. While Arthritis is not a curable disease, the symptoms that are caused by the disease can often be effectively treated and reduced. If a patient is diagnosed with Arthritis at an early stage, then the treatment option carried out on the patient can also help to slow down the rate at which Arthritis causes damage to joints. A large number of Arthritis diseases are treated in a similar way. There are medical treatment options that utilize drugs and steroids in order to relief pain, reduce inflammation and improve range of motion for the patient. Apart from the medical treatment options, a range of non-medical options also exist that can help further reduce damage to the joints and help the patient manage the symptoms of Arthritis. The most popular medical treatment options include a daily oral dose of certain medication. The specific type of medication prescribed to a patient depends on how severe their condition is. Nonsteroidal anti-inflammatory drugs, such as naproxen sodium and ibuprofen, are popular over-the-counter drugs that can be used to relief pain associated with the disease. When the patient’s condition is more severe, a stronger drug can be prescribed to also help reduce inflammation. Apart from nonsteroidal anti-inflammatory drugs, Acetaminophen and Duloxetine are also commonly prescribed medication for Arthritis patients. Many people have recently discovered the benefits of using an MSM joint relief supplement. This treatment option is also called Methylsulfonylmethane. It is a type of organic sulfur that is found in various natural sources, including grains, fruits, and vegetables. This compound is also found in humans and animals. An MSM joint relief supplement can be administered in different ways, such as via a tablet, capsule, powder or liquid. There are oral and topical options available. Sulfur is a compound that the body needs to produce connective tissue. 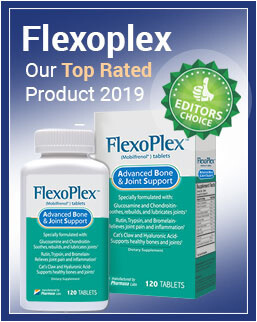 Without an adequate supply of this compound, the body is unable to properly produce connective tissue. MSM joint relief supplements work by providing the body with additional sulfur that can be used for connective tissue. According to the Arthritis Foundation, MSM can also be used as an analgesic as it inhibits part of the nerve impulses that are responsible for transmitting pain. They continue to report that a study conducted in 2006 provided a daily dose of MSM to 50 patients who had osteoarthritis in the knee. A 6,000mg daily dose of MSM was given to every patient. After the study, they found that MSM had a significant positive impact on the painful symptoms of osteoarthritis, but did not cause any severe side-effects. By considering the results of this study, people are now turning towards these supplements to find relief without having to experience the side-effects that are often associated with some of the other medical treatment options that are currently available. Arthritis is a harmful disease that interferes with a person’s ability to perform day-to-day tasks. The more severe the condition becomes; the more pain it causes. In severe cases, hands and feet of the patient can also start to deform. In order to treat the condition, a variety of treatment options need to be considered. An MSM joint relief supplement is now one of the most popular choices due to its effectiveness and the fact that it does not cause severe side-effects.